If you’re planning to file for divorce, you’re not alone. Divorce, as the legal end of a marriage, is something both parties should be involved with from the start. So, while you’re not alone in filing for a divorce, you should ‘buck the trend’ and start talking to your estranged partner to come to an amicable agreement. That’s one of many tips people need before filing for a divorce. Divorce can turn into a fairly lengthy legal process, after all. If you don’t understand how to handle divorce before it gets started, you’ll probably end up in hotter water than you expected. That said, here are a few tips to aid those thinking about entering the divorce process. Plan well before you file. Before filing the divorce, it’s important to plan for it (and a custody case, if you have children) about six months before getting started. Even if a lawyer suggests to get started as soon as possible, wait it out. Although some situations are urgent, it’s better to file with a ‘stable foundation’ (as in with enough finances and a place to live) before filing. Find the best lawyer you can afford. While you’re planning, find your lawyer. You shouldn’t just pick any lawyer, though. Don’t be afraid to interview divorce lawyers within your price range. It’s also advisable to hire on your own terms, and not on the terms of another party. Save as much as you can. Save enough money to support yourself and cover any legal fees before filing. Of course, you will have to keep this transparent, especially if there’s any property division to be handled during the divorce process. Keep copies of important documents. It’s important to keep copies of financial records and other important records on hand. You’ll likely need this during the course of the divorce process, particularly when clarifying information requiring facts. Plan to initiate the filing process. Depending on the situation, both parties can start the filing process for their own reasons. Probably the best decision you can make is discussing that matter with your spouse, especially if you’ve already separated. If the arrangement isn’t amicable, it’s best to notify the other party about the filing in a civil and neutral way to keep the case from becoming emotionally volatile. The key to cleanly settling a divorce is working with the other party to a fair and amicable conclusion. The more open you remain with your former spouse, the faster both of you can move on with your lives following the divorce. If you need any more tips before filing contact NED C KHAN. He is well know in Aurora divorce lawyer. 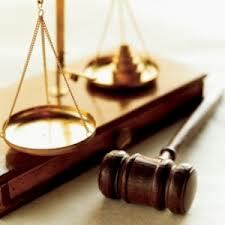 He is known in many circle to be the best Family attorney, aurora chicago.